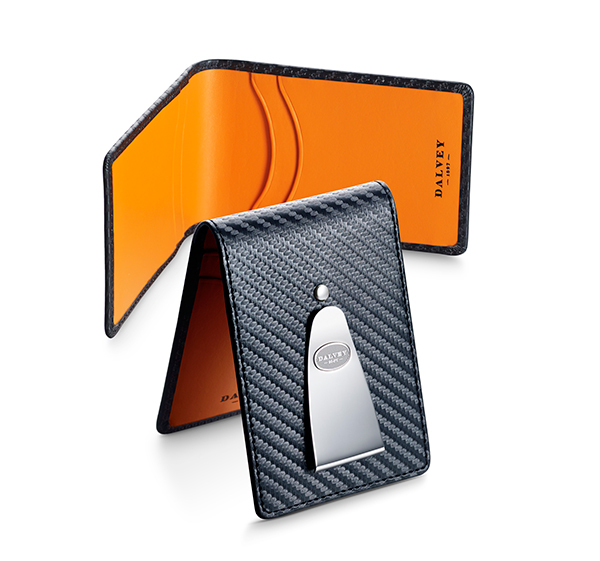 For the up-and-coming executive who loves on-trend men's fashion accessories...it's a Dalvey of Scotland bifold credit card wallet that is streamlined and holds all the essentials for your business day and evening activities. 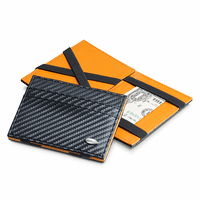 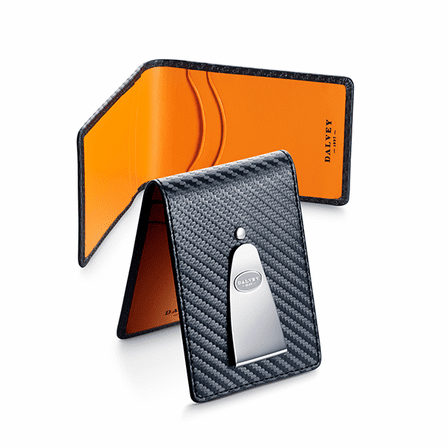 The exterior is durable carbon fiber textured black leather, with a contrasting orange leather interior. 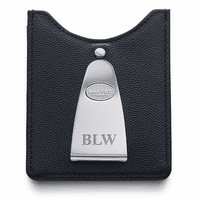 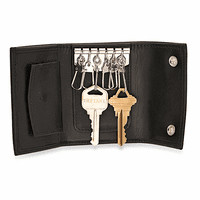 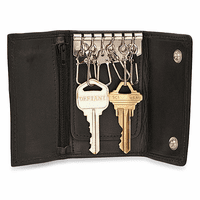 There are two credit card slots inside, and a money clip outside with the signature Dalvey logo.The smooth area below the logo can be personalized with engraving,, free of charge!